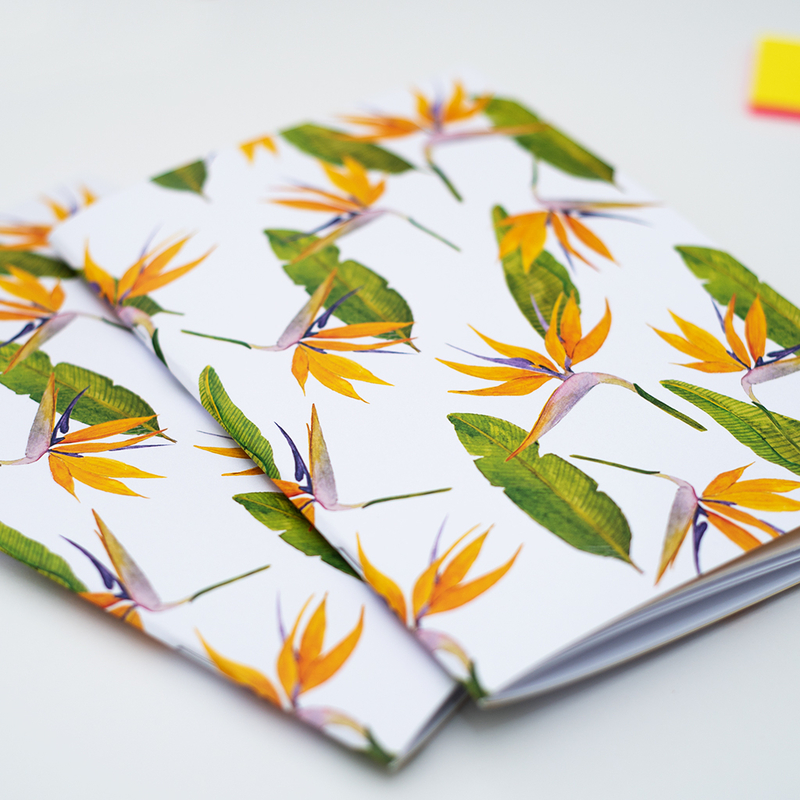 This beautifully illustrated notebook with Birds of Paradise print is part of our Spring Collection for 2019. Each element is illustrated by hand, using watercolours to create the pretty colour-blending. The high-quality print of the cover makes it not only a great addition to your desk and with 40 blank pages, but it is also ideal for writing down some quick ideas, notes, sketches or doodles. Each notebook is A5 (210mm x 148mm) and has 40 blank pages. The cover design runs throughout the whole cover (front and back). The inside is printed in a matching block of colour. Made of 250 GSM silk paper. The designs are based on my original artwork, which you can find printed on other products too. To view the full range of products, please visit the front of the store.